I am delighted to have joined the Editorial Team of the Journal of Zoology! The journal received a great number of high-quality applications as a response to their call for Associate Editors. I am excited to be part of such an excellent team on the editorial board of the Journal of Zoology. We will support the journal by bringing our expertise across a number of subject areas, including anatomy, developmental biology, functional morphology and many more. 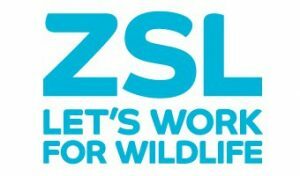 The Zoological Society of London (ZLS) has published zoological research since 1833, in Proceedings of the Zoological Society of London and Transactions of the Zoological Society of London. In 1965, these publications were combined to form the current Journal of Zoology. Zoology is a broad field that embraces many disciplines. Being distinct from other specialist journals, the Journal of Zoology encourages submissions that explore interdisciplinary perspectives, and those that are hypothesis driven, where the research can shed light on other species or systems. The journal’s major function is to promote research that is truly integrative by illuminating the greater picture. Also have a snoop around the official blog of the Journal of Zoology! In addition to research papers, the journal welcomes reviews and forum papers on current issues, particularly where topics of a complex or poorly understood field are synthesised. It also publishes short dedicated sections, and an occasional themed issue, where there is sufficient new research in a particular research area. I look forward to a rewarding and interesting time!